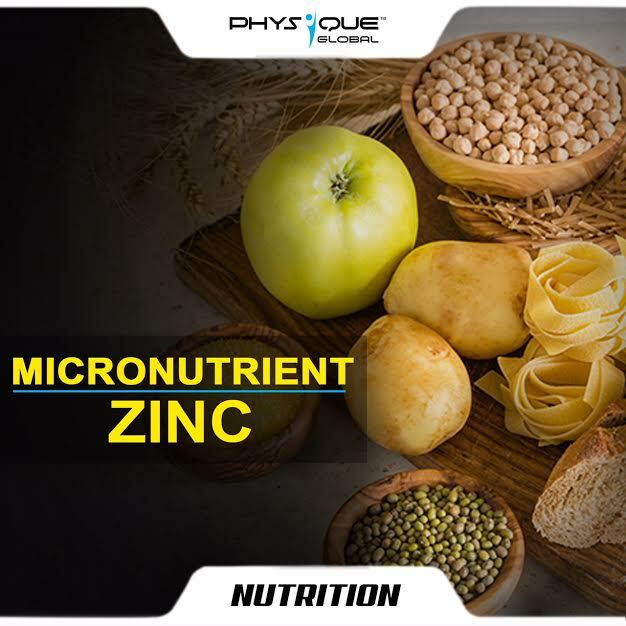 Zinc is an essential micronutrient which is required by the human body in trace amounts to maintain and perform a number of bodily functions. Common food sources of zinc include chicken, red meat, dairy, eggs, whole grains, nuts, seeds and legumes etc. However, zinc is more readily absorbed from meat and animal proteins. Vegetables are not ideal sources because they contain phytate, a compound in plants that prevents zinc from being absorbed. Zinc plays a major role in the health of the immune system so frequent colds/infections may be a sign of inadequate zinc levels. A lack of zinc can make a person more susceptible to disease and illness. Zinc is also a key nutrient involved in the production of testosterone, which is the number one muscle building hormone. Zinc is very important for healthy hair so premature greying could be a sign of deficiencies of zinc. It plays a role in cell division, cell growth, wound healing, and the breakdown of carbohydrates. Zinc is also needed for the senses of smell and taste. Deficiency of zinc may delay puberty in children by slowing down growth and development. The daily recommended dosage for zinc is 8 milligrams (mg) for women and 11 mg for adult men. Most people can meet their recommended dietary allowance, or RDA, for zinc by eating a well-balanced diet. If consuming zinc supplements, you should keep your intake below 40 milligrams daily, unless directed by a physician to take more. Taking too much zinc can cause harmful side effects. Zinc has been implicated in the development of prostate cancer so it should only be taken as a supplement under medical supervision.